This idea is really quite simple: When working together on something, it might be worthwile to have keep in mind that the situation sometimes requires talking about the content, and other times about how we interact, or how we are feeling. You could call it the “interaction gear-shift”. Just like asking the three basic what, how and why-questions (See “About in dubio“) I think it’s a good idea to shift gear every now and then, and move away from discussing content alone. 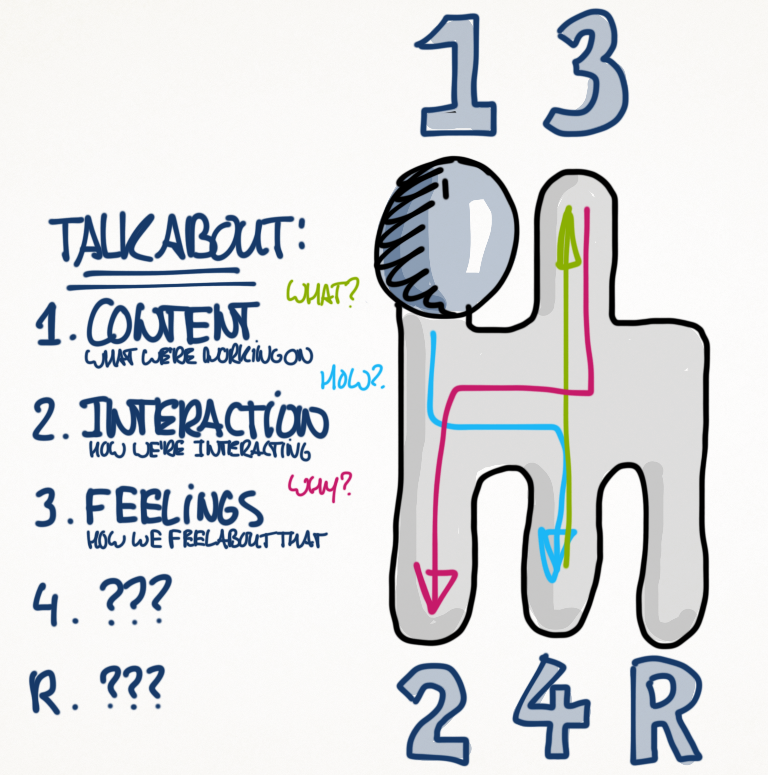 Sometimes it helps to pause a content discussion by asking questions like “Ok…. how are we doing?”, or “I don’t feel good about this”. Q: Do you recognise this? Any suggestions for a fourth- and a reverse-gear? The fourth could be: destiny, new perspectives; talking about how are we tuned on our emerging future? The fiveth could be: source, spirit or soul: how are we connected and making use of our deeper sources? The R could be: knowing our history: acknowledging where we come from and appreciating and cherishing the richness of our heritage. Bringing it, further after fully acknowledging it! Good luck with this wonderful little model. Harm, thank you for the suggestions, I really like your thinking! I will think about it and make a five gear gear-shift in one of my next posts! « I’m not a participant, I participate!